Find hotel near Burra Regional Art Galler .. If you love to see constructive things, then a visit to this famous art gallery is going to please you to the fullest. This center has got the finest collection of artistic works in the country. You will be amazed at each and every drawing here as all of them are unique and you must have proper knowledge about them. Apart from this, a lot of debate and other discussion forums are organized here on weekdays. There are a lot of reasons to visit this famous place. You cannot miss out on this place. 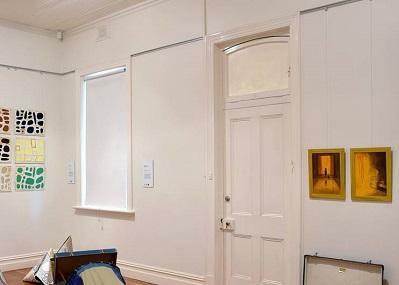 Use Burra trip planner to visit Burra Regional Art Gallery and many others to your visit. Oomph up your visit by adding the best hotels in Burra like Burra Motor Inn, Lavender Cottage B&b and The Pig And Whistle. Draft the best Burra vacation packages using ideal templates offered by TripHobo. Also explore how to reach Burra on the go! Unique collection of emerging local artists and early Colonial work's from the mine that Saved-the-State of South Australia! A friendly place and warm welcome, well worth a visit. A vibrant, original regional art gallery with friendly volunteers - definitely worth a visit to enjoy the colour and to chat about the local creative scene, and meet great people.